Jean-Claude Van Damme claims he can save the world. The 54-year-old actor claims the human race faces extinction in the next 50 or 60 years but says he can stop it by lobbying the world’s leaders, who he knows personally, to save the animals. Speaking on BBC Radio 5 live Breakfast, he said: ”The human being is a wonderful species and they have a way of fixing everything and hopefully they are going to help themselves, but if they don’t then it [the world] is over in 50 or 60 years. He added: ”Every leader they have a heart, and they have a wife, they have children, they understand the word love or deception. Everybody on earth has something called a good side on them. 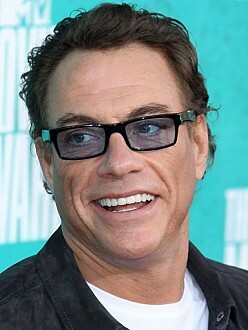 JCVD is suffering from delusions of grandeur, however, he could be accurate with respect to the extinction of the human race if climate change is not addressed with more enthusiasm. Kung Fu Panda 2 – Jack’s Back!